Land a beach volleyball scholarship today! SandRecruits connects beach volleyball athletes with college coaches that are looking for players to join their team. SR is the leading database and social media site for junior beach players and beach coaches. On SR every player’s performance data is one click away for ALL collegiate beach coaches in the NCAA, NAIA and CCCAA. For beach volleyball athletes only! Connects ahtlete members to every college beach program in the country! 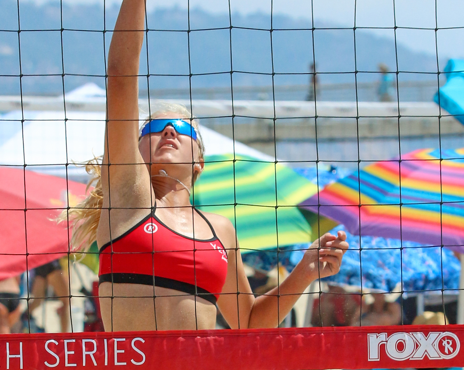 SandRecruits connects beach volleyball athletes with college coaches that are looking for players to join their team. 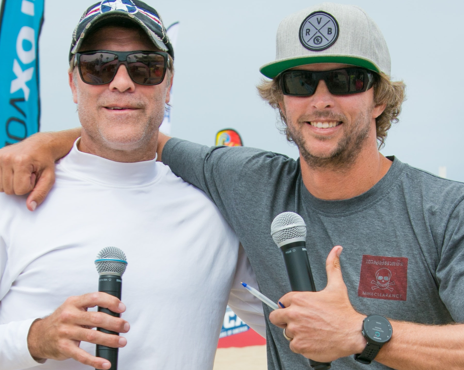 SR is the leading database and social media site for junior beach athletes and beach coaches. On SR every athletes’s performance data is one click away for ALL collegiate beach coaches in the NCAA, NAIA and CCCAA. Why should athletes register with SandRecruits? SandRecruits is a database only for beach athletes. We connect members to every college beach program in the country and provide college coaches with the most valuable tool in their recruiting search. SandRecruits makes it easy for athletes to share and update information such as academics, schedule, tournament results, and video highlights with college coaches. We vet every single coach prior to giving them access to athlete information so it is a simple, inexpensive, and safe solution for families and coaches to connect. Athletes are also able to customize and update their profile or contact coaches as often as they would like. Getting noticed by a NCAA, NAIA or CCCAA program and landing a beach scholarship can be a difficult task with the traditional method of sending letters, DVD’s, and email after email. SANDRECRUITS IS THE SOLUTION! Why should College Coaches use SandRecruits? SandRecruits is FREE to all college beach coaches and does not allow Club Coach membership. Coaches can easily match SR#’s they see on the beach with real athletes in the database to learn more about them. Colleges can add their entire recruiting staff and easily share notes on athletes they are tracking. SandRecruits was built by coaches for coaches so we are constantly improving and adapting as the spot grows and evolves. Easily evaluate, reevaluate and track your top prospects with SandRecruits! Throughout the year, college coaches are up and down the beach searching for potential prospects and the next Misty May. However, a lot of their time is trying to figure out who is playing on the beach because there is nothing identifying the athlete. Problem solved! Every SR member is assigned a player’s number that can be easily access by college beach coaches. When a player is playing in the national championship tournaments (BVCA, AAU, USAV, AVP) or showcases where college coaches are recruiting, the player simply write the SR number down the leg or calf. Every coach in the country identifies this number and now will instantly be able to access information on that player in the SR platform.